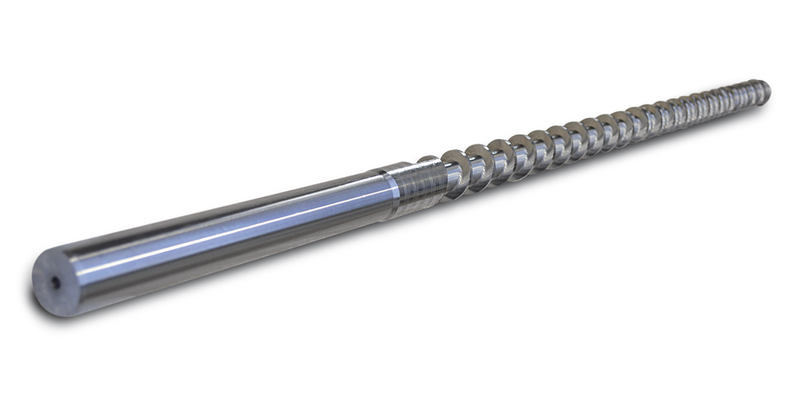 Worms are extremely efficient for high gear reduction applications and torque multiplication with a small footprint. Small electric motors have generally high speed and low torque; the addition of a worm drive increases the range of applications that it may be suitable to when the worm driver’s compactness is considered. They are mostly meshed with a worm wheel. A worm has at least one tooth and in order to perform it drives the gear. Worms are typically used for transmission of power between two non-parallel and non-intersecting shafts. Elevator and escalator drives are the most suited applications for worms. Moreover, they are used in presses, transportation, mining industry machines and machine tools. The performance of the worm relies on the lead angle and the number of the threads in connection with the worm wheel. With Samputensili machine tools is possible to grind different worms suitable for any worm gear sets according to client needs and specifications. There are many uses depending on the mechanical efficiency required by the industry and Samputensili has the capability to grind the widest range of worms.